Store | I Don't Stink! some incredible member only area. Remember, you can cancel at any time. Tons of information await you. This Family MONTHLY premium membership will get you access to some incredible member only area. Good for ALL members in your immediate family!LOCK INTO Savings for LIFE when you purchase within the next 7 days! Tons of information await you. This MONTHLY premium membership will get you access to some incredible member only area. Remember, you can cancel at any time. 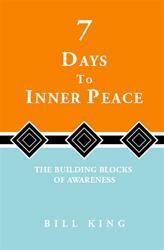 7 Days To Inner Peace: The Building Blocks of Awareness eBook is an easy to follow book guiding you on a daily quest for finding peace. It provides you with a step-by-step or building block approach to become aware of your thoughts and actions. NEW SPECIAL PRICING $9.95!!!! See Bill featured on the cover of the latest Wake-Up… Live the Life You Love book series. Powerful stories by some very incredible authors like Tony Robbins and Wayne Dyer to name a few. 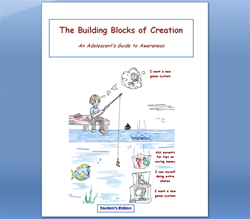 This Student’s Edition is perfect for any adolescent looking make a difference in their life. It includes daily exercises that are really fun and easy. Only purchase this product after you have completed the Self Assessment document AND Bill has agreed to mentor you. There are only a very few open slots so be sure to communicate directly with Bill at bill@positract.com to express your interest. Cost is $397 per month and includes several one-on-one coaching sessions and direct access to Bill. Remember, very few open slots are available so act now! With this monthly charge, you get the following: 1) One initial One-hour assessment session by phone 2) Two Thirty-Minute Coaching Sessions by phone 3) Downloadable MP3 recording of each session 4) Summary notes of each session emailed to you 5) Checkup emails between sessions 6) Unlimited emails to Bill for clarifications and questions 7) One – 7 Days To Inner Peace Book. 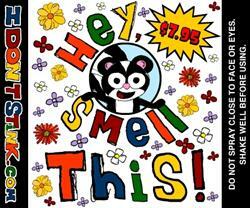 Hey, SMELL This is perfect for helping you smell good! It comes in a convenient 2oz blue spray bottle and was designed to go along with the Hey, SMELL This exercise from the idontstink.com website.